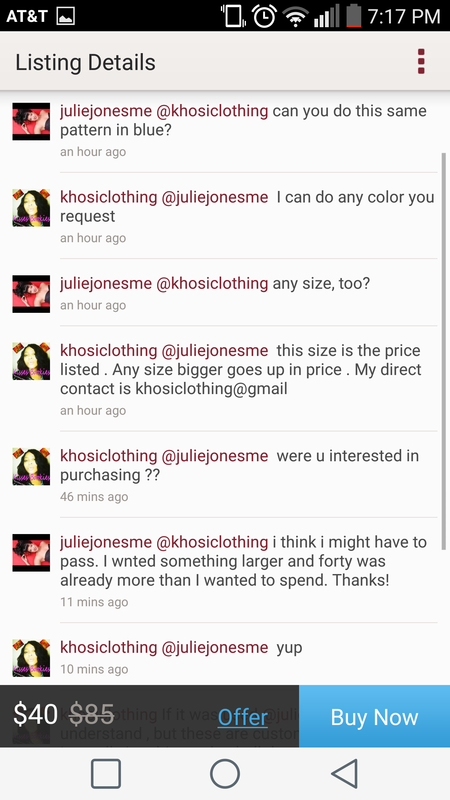 I never made her an offer to insult her and even said I was going to pass, because I wanted something cheaper. 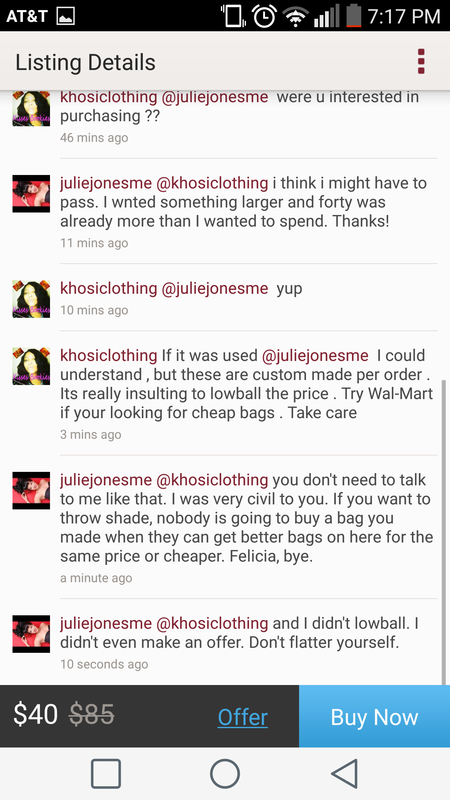 Please remember that this is a site where I can literally get a high end designer bag for fifty or a hundred dollars and she is wanting to charge me about that much to get a larger bag. And who would pay $30 for this? 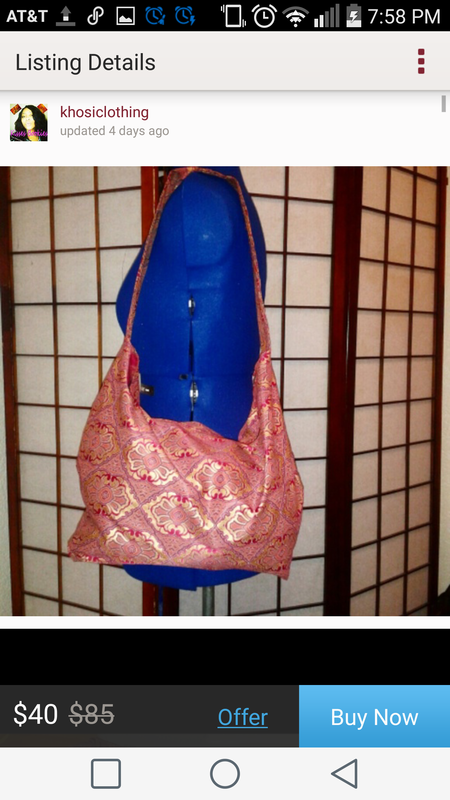 This is the bag I asked about, which I would have bought if it was blue and a little bigger, maybe an inch deeper. But, I didn’t feel I should pay more than that price for it. That’s why I am particular about what I buy and who from. Money is power and I won’t spend it on bad service or cheap products. I’m all about the value. You might see me post items I love that are inexpensive, but they are still great quality. Value. That’s what gets my money. Sometimes customer service is the best value you can offer! !